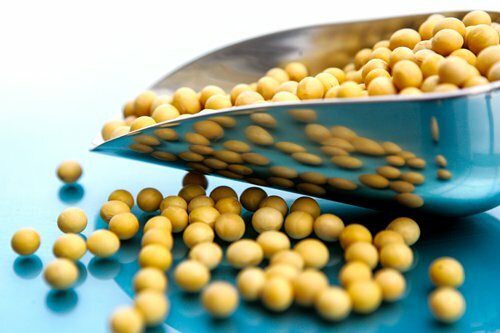 The Ministry of Agriculture and Rural Affairs said China will expand the soybean planting area this year, although the world's largest soybean purchaser has promised to increase soybean imports from the US to help cut trade surplus with the US. Han Changfu, the minister of Agriculture and Rural Affairs, said on Wednesday that China will further improve its agricultural plantation structure and narrow the deficit in the supply of certain farm products in 2019. Customs figures showed that China imported 7.38 million tons of soybeans in January, down from 8.48 million tons a year earlier but up nearly 30 percent from the previous month. China is the world's top soybean buyer, but the purchasing volume was decreased last year as the buyers shunned US soybeans amid the ongoing trade war between China and the US. The volume of imported soybeans in the first quarter will be decreased, and China's soybean imports for the full year of 2018/19 are expected to be 83.65 million tons, lower than the previous year, according to a Monday statement on agri.cn. Media reports have said that China is likely to increase the self-sufficiency level of soybeans by 1 percentage point by 2020, and by another 1 percentage point by 2022. China agreed to buy another 5 million tons of US soybeans in the latest round of trade talks in Washington in January.